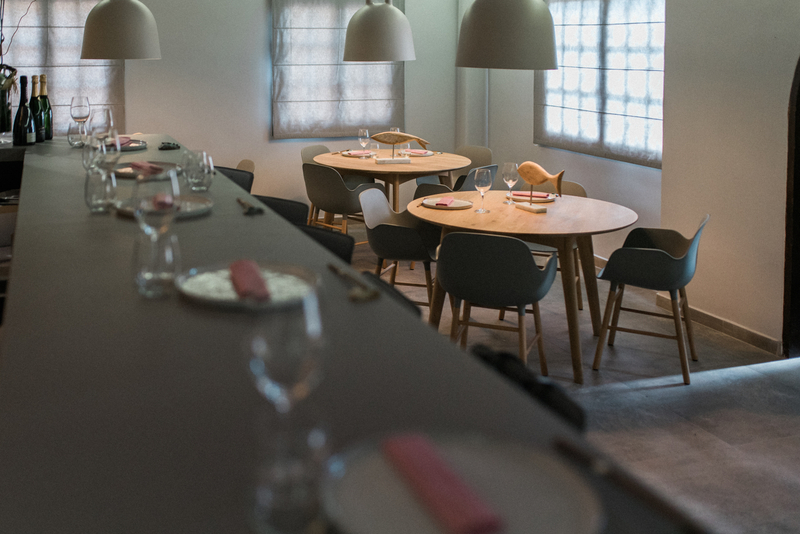 It begins when chef Tadashi Tagami, after leaving Kazan searching for new horizons, meets Carlos Villar and Silvia Aguilera, from La Posada del Pez. Then magic happened. From that exact moment Tadashi becomes part of La Posada del Pez team and starts to work on the flavors and aromas of a shared dream that is now awake. Bright, the atlantic blue and the remote horizon. Clean lines. Restrained and comfortable furniture, Danish design. Wood handworked by local carpenters in San Andrés. The bar: a more informal area for the same gastronomic tension. 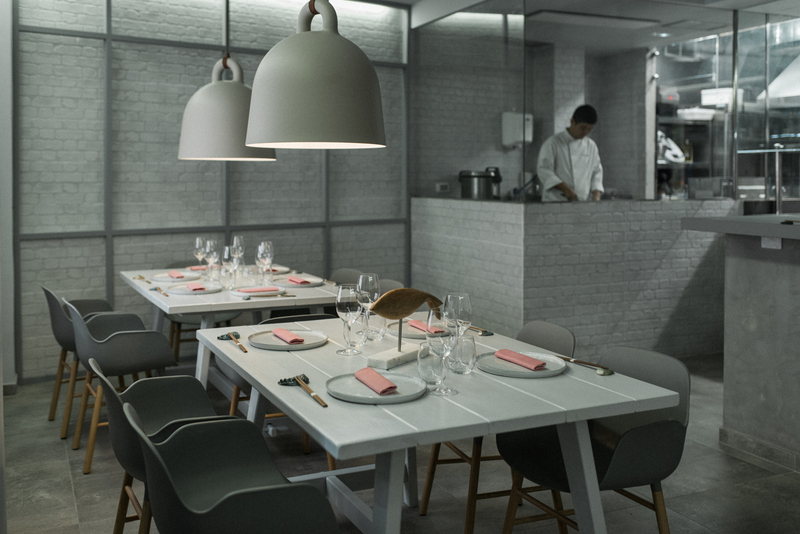 Relaxing, warm and formally minimalist atmosphere at the service of essential, pure and sensitive cuisine of Tadashi Tagami. Crockery is made of exclusive Japanese ceramic. In the background, open,is the kitchen, which is part of the room and vice versa. With access through two streets it faces the infinite ocean. Under a 130 years old Canary Islands dragon tree. In the shadow of African laurels. 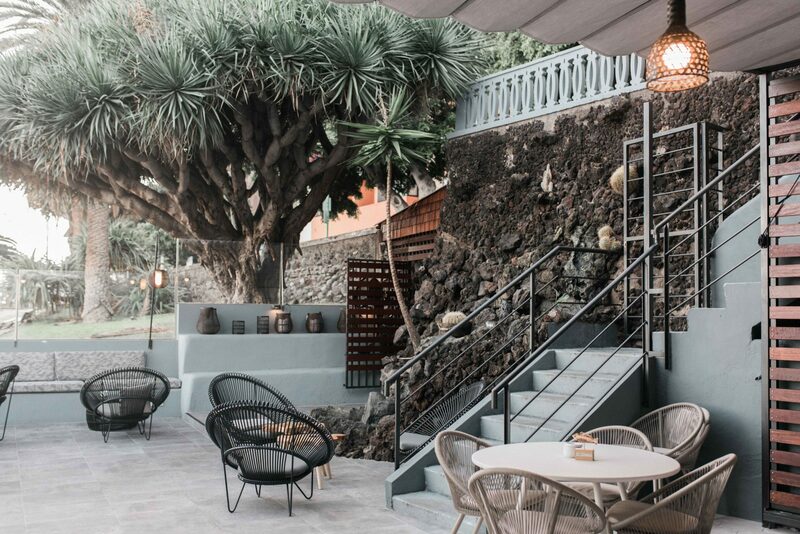 To the rumor of the fountain cascading over the stone … Japanese ambience for two areas: the annex to the dining room, covered by a pergola, with restaurant service, three al fresco tables; and the playful area, for afterwork and fine glasses, with four tables. Embassy of the Altos de Trevejos wines, this is a private space (under reserve) for 8-10 pax. Excavated in the stone, next to the terrace, with a depth of eight meters. 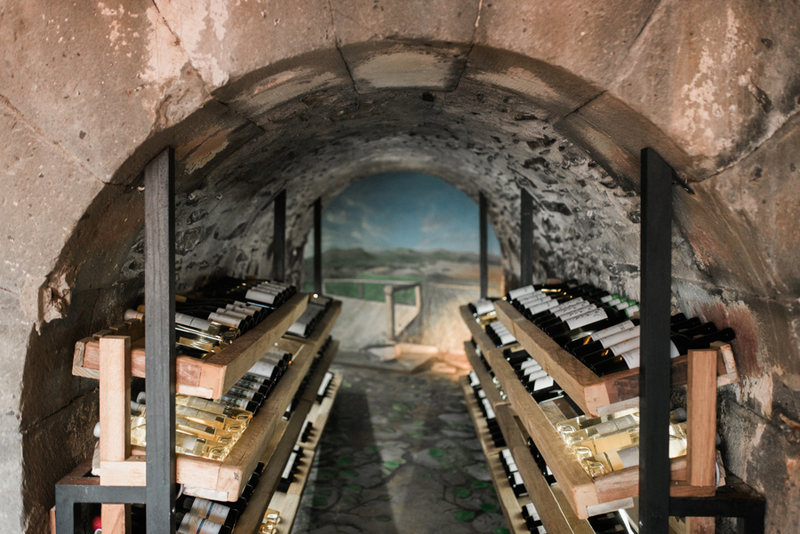 It has a “privée” dining room with spectacular imperial table built with a single troco and, at the bottom, sinking into the stone, the Abikore winery, with the exact temperature for wine conservation. 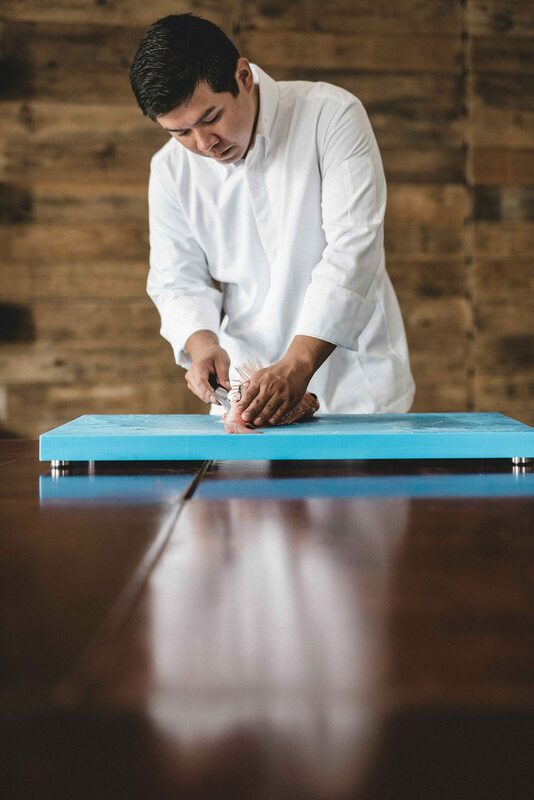 Chef Tadashi Tagami bases his culinary philosophy on the foundations of the delicate and subtle Japanese cuisine “kaiseki”, traditional style that is served in small portions elegantly prepared, always with seasonal products of supreme quality respecting their flavours. Abikore’s gastronomy is very changeable, as much as it demands the temporality and the freshness of the raw materials. 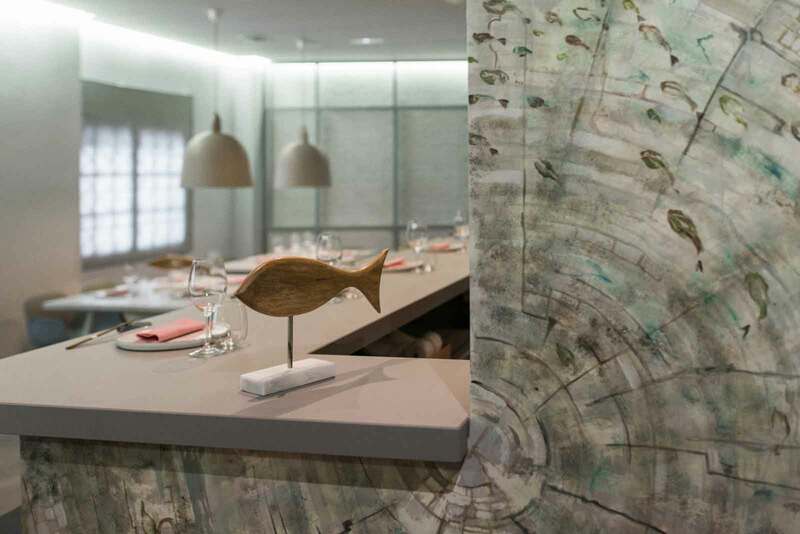 In the menu there are dishes of singular praise to the raw material combined with other more elaborate and sophisticated, in line with contemporary haute cuisine and the West-East fusion. 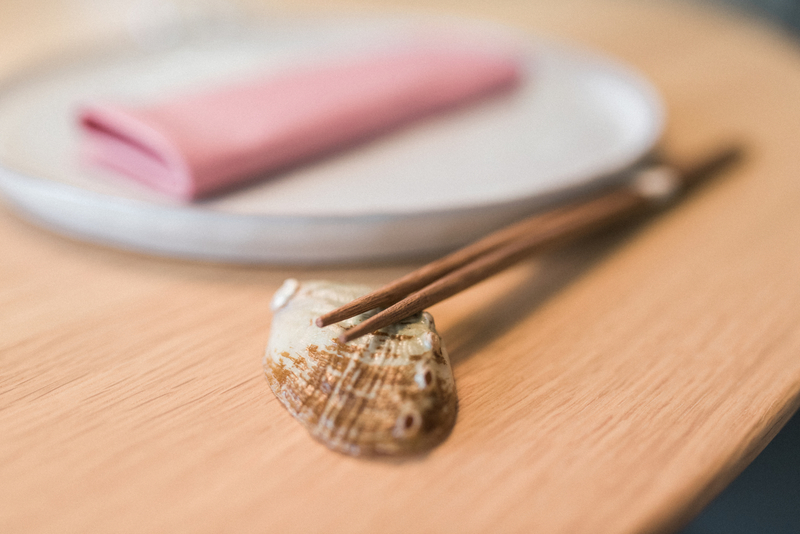 Naturalness is key for cooking in the grill,designed especially for Tadashi’s cuisine. Tadashi (1991), Peru, is the second generation of a Japanese family that decided to travel to America. With Japanese grandparents on his father side, his mother was is Peruvian. The perfect gastronomic mixture. 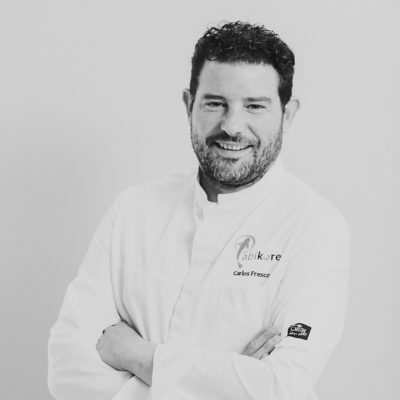 Formed in the kitchens of Japan, Peru and nikkei in the family businesses of Lima (Peru), and the school D’Gallia, he traveled to Spain to take charge of the cuisine of the restaurant Kazan (Tenerife), where he got his first Michelin star in 2014. 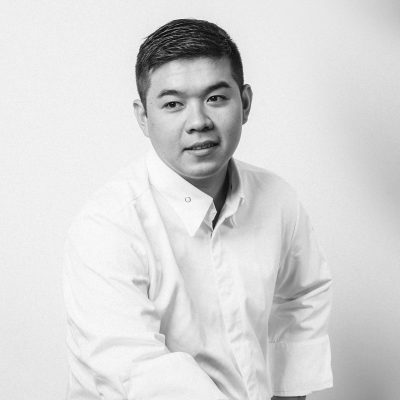 Tadashi, after working with Massimiliano Alajmo (La Calandre ***, Rubano, Italy) and with the great Seiji Yamamoto (Ryugin ***, Tokyo, Japan), is the chef in charge of Abikore’s kitchen.